A man who armed himself with a machete and savagely attacked two people in Newham, leaving one with life-changing injuries, has been jailed. Mehdi Djoumad, 24 (06.04.94), of no fixed address, pleaded guilty to two counts of grievous bodily harm (GBH) with intent and one count of possession of an offensive weapon at Snaresbrook Crown Court on Monday, 10 December. He was sentenced at the same court on Tuesday, 22 January to a total of 13 years’ imprisonment. 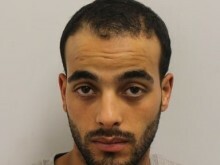 His co-defendant Ismail Shamry, 23 (12.11.95), of no fixed address, also pleaded guilty on Monday, 10 Decemeber to possession of an offensive weapon. He was sentenced on Tuesday, 22 January to one year’s imprisonment. At 00:37 hours on Saturday, 7 July police were called to reports of a man running around with a machete in Sutton Court Road, E13. 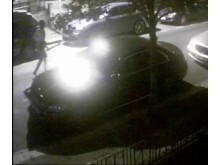 Further calls were subsequently made from several members of the public about the same incident. Officers attended and found two men suffering from stab injuries. Another two injured men had left the scene prior to police arrival and made their own way to hospital. The four victims were aged between 21 and 22 years old at the time of the incident. Officers, including armed officers and the Met’s Dog Unit, with assistance from the National Police Air Service attended and found Djoumad and Shamry hiding in a garden nearby in Benson Road. A machete and a knife were also recovered. 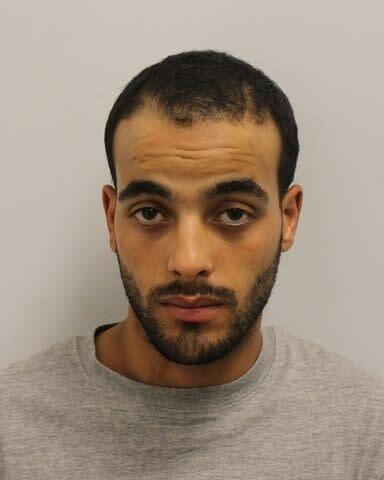 Djoumad and Shamry were arrested on suspicion of GBH and were taken to an east London police station. They were both charged on Sunday, 8 July with two counts of GBH with intent and one count of possession of an offensive weapon. 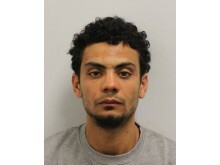 Shamry’s GBH charges were later discontinued at court. The fight spilled out into the street and resulted in Djoumad arming himself with a machete and Shamry arming himself with a knife. 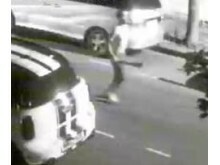 The pair then chased the victims around the surrounding streets. [Victim 1], aged 21, was desperately trying to escape and was putting some bags into his car when Djoumad attacked him, hitting him round the head with the machete causing serious and significant injuries, including a fractured skull and a piece of skull becoming embedded in brain. He was also stabbed in the centre of his chest. He required surgery and his injuries are life-changing. The victim’s mother lived nearby and was able to provide first aid to him prior to the London Ambulance Service attending. [Victim 2], aged 21, suffered a stab wound to his abdomen and back by Djoumad during the altercation in the address. Victim 4 sustained their injuries. The investigation by North East CID was complex with numerous witnesses and CCTV enquiries. However, the full circumstances are still not known. Detective Constable Sarah Osborne, the investigating officer from North East CID, said: “Djoumad carried out a savage and brutal attack on the victims, especially Victim 1 whose injuries could have cost him his life. “The evidence collected against Djoumad and Shamry was overwhelming and as such they pleaded guilty. I am pleased that these two dangerous individuals, especially Djoumad, are behind bars and off London’s streets. “The length of Djoumad’s sentence shows how serious the court takes these types of offences and I hope it acts as a deterrent to others who think it is acceptable to carry a knife. “We are committed to reducing violent crime in London, however we cannot do it alone. Anyone with information about incidents of violence or knife crime can visit www.fearless.org where they can pass on information anonymously. Fearless is part of the Crimestoppers charity, and is also independent of the police. If you need help or information to support someone you suspect is involved in knife crime, or you want to assistance yourself, then you can visit www.knifefree.co.uk.